Despite its misleading name FatGirl Six Pack is unlikely to turn any jelly-bellies into sculpted and toned midriffs that demand attention on the beach. It’s a skin-tightening product, nothing more, nothing less. The gel is produced as by the international Spa giant Bliss. The company was founded in New York in 1996, but has since gone global. Bliss also produces a range of health and beauty treatments. Those bearing the FatGirl label are designed for customers who wish to try and recreate the spa experience in the comfort of their own homes and get down to some serious self-pampering. SixPack is marketed as tummy-toning gel and, despite the fact that Bliss admits it is a skin toning gel only, the name itself is apt to make it become confused with a muscle toning system. Gel should be applied twice a day via the can’s built-in applicator, which must be placed onto the skin. Pressure is then applied to dispense the gel which should be massaged into the midsection, using a circular motion, for 20 to 30 seconds. *Note: Bliss suggest the gel be used in conjunction with a weight management program and admit a six pack can only be obtained through a combination of regular exercise and healthy eating. Amino Acids Provides targeted toning and improved circulation Some scientists believe amino acids may strengthen collagen in the skin, help reduce wrinkles, and protect against sun damage. Creatine Boosts cellular metabolism Researchers at the cosmetic dermatologist company Beiersdorf recently discovered creatine may provide anti-ageing benefits when included in skin care products. Most people should be able to use FatGirl Six Pack without encountering any negative issues, but some people’s skin is more sensitive than others’ so any form of topical application carries the risk of side effects. In this case the menthol content may be the most likely culprit if side effects such as itching or red skin are experienced. Customer feedback shows a mixed response to the product. By the manufacturer’s admission, Six Pack does not produce weight loss, so the results mentioned are probably attributed to healthy eating and regular exercise. Bliss products are designed to reproduce the spa experience in the home. That’s all very well in theory and a lot of women may find such an idea attractive, but it’s hard to see how sitting at home and spending 20 to 30 seconds applying gel to the stomach can be classed as self-pampering. It certainly does not hold up well in comparison to a spa treatment. It all seems rather pointless, so as an alternative to day at the spa FatGirl Six Pack is a very poor second. As for the tummy-enhancing benefits, Bliss admits a six pack can only be obtained by a combination healthy eating and regular exercise. That being the case the only benefit the gel offers is as a skin tighter. It’s certainly possible that some of the ingredients may cause a temporary tightening of the skin, but £35 is a lot to pay for such limited and temporary results, so FatGirl Six Pack fails to pack enough punch to gain a recommendation. Our advice? Use the £35 to purchase an effective fat burning product or put it towards a gym membership instead. We recommend using a high potency natural fat burner. 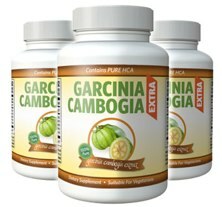 Arguably the best of its kind its Garcinia. Cambogia. Garcinia cambogia can not only burn stubborn fat from problem areas (such as stomach, thighs and upper arms) but also prevent to formation of new fat cell.